We are a small boutique Hairdressing and Barbers Salon, located in the heart of Brunswick East. Our goal is to deliver quality hair service, ensuring clients leave our salon, satisfied. 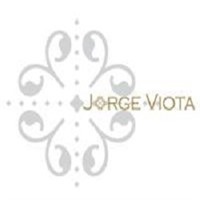 At Jorge Viota hairdressing and Barbers, we believe in the importance of delivering comfort, professionalism amongst a friendly atmosphere. We are invested in using eco-friendly products with organic ingredients. We use two companies, Natulique & Barberian mens grooming they natural ingredients in their products enhanced with the latest cosmetic cutting edge technology with an artisanal handcrafted spirit. You can visit their website In addition, we use Natulique, who thrive in delivering 98.5%organic ingredients and have been ECO certified. We have recently introduced to our salon, a new range of Men’s products Barberian Men’s Grooming. Owner, Jorge Viota has come up with this concept and created a cool range of organic products such as Beard Oil, Moustache Pomade and Hair Pomade.